Looking to Jump Start your kids yoga business!! Becoming a KAY Licensee is an OPTIONAL PATH for the entrepreneurial yogi. It gives you everything you need to quickly and professionally, start your own kids yoga business right away! We provide a beautiful customized Kidding Around Yoga website that you can easily edit and update any time. You have access to our library of professionally designed marketing materials and the ability to use our internationally recognized logo. You will also receive lots of advice and support from our friendly KAY staff and from within the Licensee Facebook forum . Join our growing family of like minded professional kids yoga teachers and we will change the world. New Low Price of $19 per month or $200 for the year. There are no payment contracts. You can leave at any time with no penalties. Want to become a part of our OMazing Licensee family but already have your own kids yoga company with a name and a website? Do you prefer to use your own branding? NO WORRIES MON… click here. Please note- You have 45 days to finish your requirements or be charged an admin fee. Click HERE for full requirements. What are the benefits of becoming a KAY Licensee? You will have an unlimited use of the KAY logo in all advertising, marketing material and website activities. 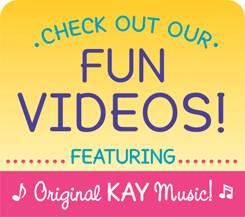 You will receive a special designation in our DIRECTORY as a KAY Licensee. You will get a 15% discount in the KAY shop! You will have the opportunity to send out monthly newsletters through Mail Chimp using an easy to customize KAY template. Check out what the template looks like by clicking HERE. LIcensees are allowed to use our beautiful and professionally designed KAY marketing materials in downloadable and customizable files including: brochures, flyers, business cards, gift certificates, posters, girl scout cards, banners, and yard signs. These marketing materials are a huge help in advertising and filling your classes. Licensees have the option to hire a KAY Graphic Designer to create customized flyers. You will have discounts on our KAY-tinuing Education Programs where we offer online trainings on a variety of topics to fine-tune just about anything that could possibly come up in a kids yoga class. You will have the opportunity to build a business by starting local classes in your community and hiring KAY trainees to teach them. KAY does not set up the classes for you but guides you in every way that you need to help you secure your classes. However, this is YOUR business and your responsibility to acquire your own classes. We are here to guide you. You can retake a live training for only $100 USD!!! You will have greater access to the KAY office staff for guidance via email/phone. HERE’S A GREAT WAY TO THINK ABOUT YOUR INVESTMENT… WHERE ELSE CAN YOU PAY $25 A MONTH FOR UNLIMITED CONSULTING FROM EXPERTS IN YOUR FIELD? PLUS ALL THE OTHER BENEFITS LISTED ABOVE! NOW THAT’S AN OM-AZING DEAL WOULDN’T YOU SAY? CLICK HERE to find out how you become a licensee.